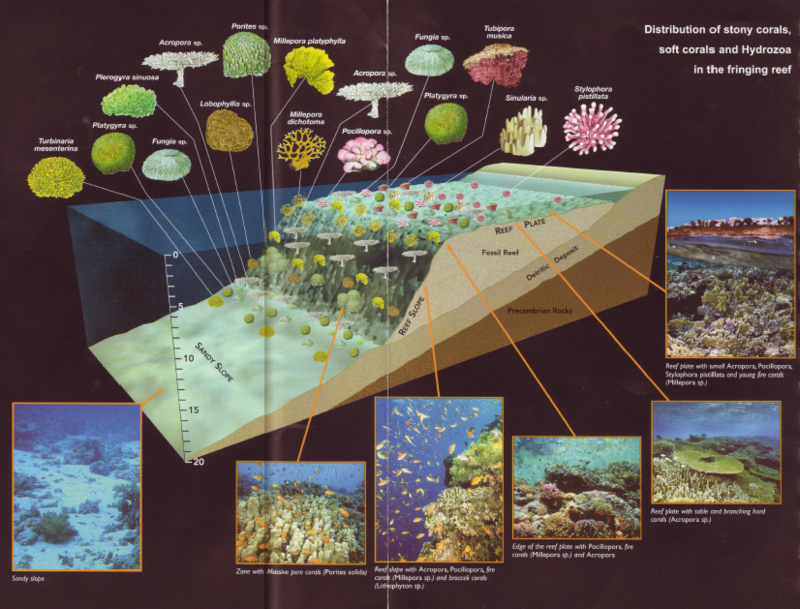 The Gulf of Aqaba is home to the most northerly coral reefs in the world. This is due to its unique geology and geographic position. The Gulf is formed by the movement of the Earth's plates. 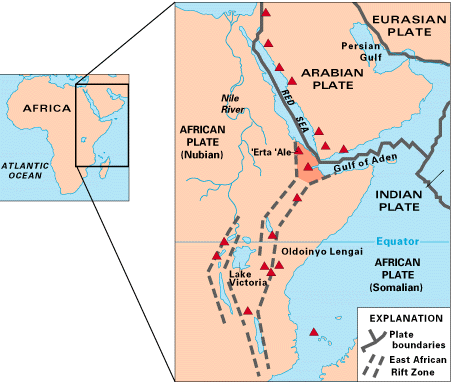 The African plate is pulling away from the Asian plate forming a rift running north, from the Dead Sea, through the Gulf, down through the centre of the Red Sea and beyond to form Africa’s ‘Great Rift Valley’ in the south. This action is still going on today (Saudi Arabia is getting more distant by around 1cm per year) and is also responsible for the mountains either side of the gulf as well as the fossilized reefs we find along the coast. 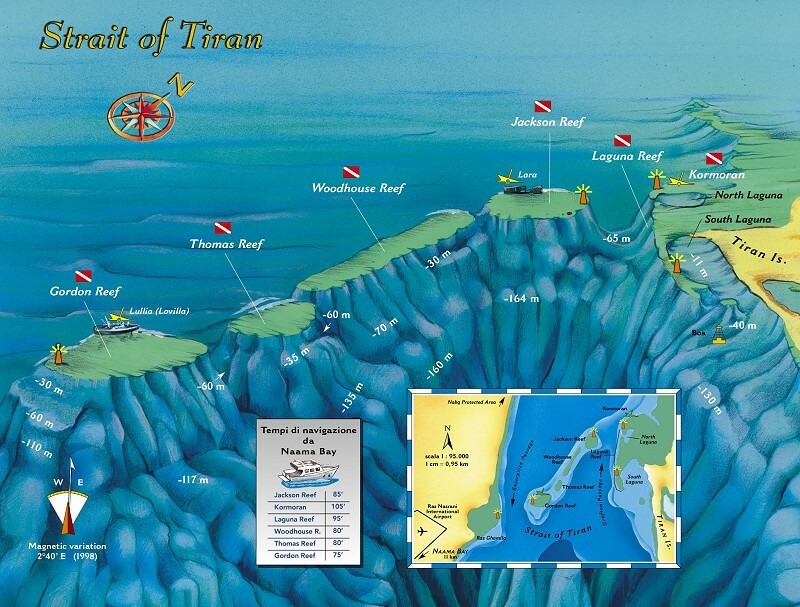 This action forms a trench at the centre of the Gulf which plunges to an amazing 1800 metres, thus all the reefs are “fringing” reefs along the shore line. Yet another factor making this body of water unique is its very high salinity. At the Straits of Tiran where the Gulf of Aqaba meets the main body of the Red Sea the sea floor rises up to around 250 meters. During the summer months the water flowing into the gulf is only just enough to compensate for the evaporation rate, this fact, coupled with no fresh water running into the gulf is responsible for the high salt levels. This flow of water via the Straits of Tiran is also responsible for strong currents which in turn produce the abundance of marine life which brings Hammerhead sharks during this time. The incredible depth of this rift is what makes the region truly unique. Most seas rely on warmth from the sun to maintain the temperatures required for tropical corals, in the Gulf of Aqaba the water is warmed from below by the Earth’s mantle. Even at 1000 meters down, where other seas are an icy 4-5 degrees Celsius, the gulf is around 21 degrees and at its deepest point temperatures of over 60 degrees have been recorded. On the calmest days Dahab can experience strange currents; it is assumed that these are caused be convection currents rising from the depths. Dahab is situated mid-way along the gulf and is probably the world’s most unique diving destination. The plain on which Dahab is situated was created over millennia by eroded sediment deposited by floods sweeping down from the mountains which dominate the centre of Sinai, a process which still continues today (the last major flood was in October 2000). The floods when they come accumulate in the high valleys before being channelled into the normally dry river bed known as “Wadi’s”. This can result in dramatic and destructive flash floods. Underground, fresh water springs filter down to the sea which in turn gives rise to stands or “Carms” of palm trees making Dahab a genuine oasis of green pinched between the arid mountainous desert and the teeming sea life and splendorous reefs of the Gulf of Aqaba. All in all, the “Gulf of Aqaba” and Dahab in particular are unlike anywhere else you are likely to visit.